Applications to the fund for 2015 have now closed. We have been inundated with excellent applications and, because we got roughly twice as many as we were expecting we will have had to short list the candidates, otherwise we would have to ask the residents of Levenshulme to spend pretty much a whole day and night at the voting event on 8th March! In the mean time, we’d like to thank our panel of independent assessors who represent The Kindling Trust, UnLtd, Heaton Moor Market and the North Manchester Regeneration team of MCC. For further information about the voting event, how to attend who can vote and how it will work please click here. 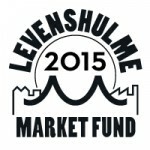 Apply for your share of £15,000 to make a difference to Levenshulme high street or to start or develop your own market business! The deadline for applications has now passed – we will be in touch with all applicants shortly. Applications will need to demonstrate the difference they will make in the short term, as well as the long term – longevity of impact is key! Applicants must be aged 16 or older. Completed applications must be returned by Friday 20th February 2015 at 9.00am. You do not have to attend the information event to make an application. Printed application forms are also available on request. Translated forms will be available at the informaion event – if you are not able to attend this event but would like a translated form please contact us. If your application is eligible, you will be asked to make a presentation about your idea on Sunday 8th March 2015 between 5.00pm and 9.00pm at The Klondyke Club, Burnage Range, Levenshulme, M19 2HQ. You will have 3 minutes to make your presentation. Members of the community in the audience will then vote on who gets funded. Please do not apply if you are not available to make your pitch on that date. NOTE: We’re not a fan of ward boundaries – Levenshulme retail space and residents have M19 postcodes – that’s all that matters to us! Please read all the information above and the awards FAQ here. If you are unsure if your proposal is suitable just get in touch and we will advise you.